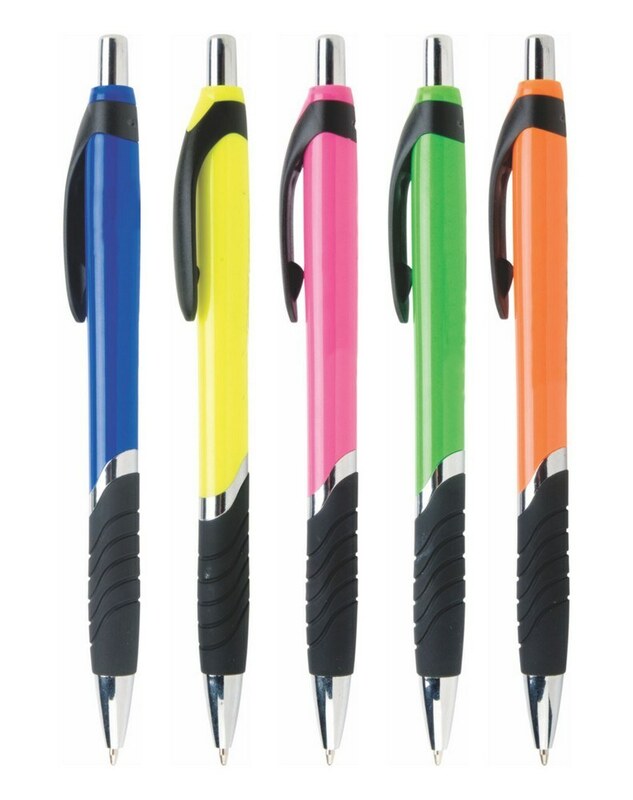 Our Calypso Pen features contrasting clip and grip, Customizable with your logo for Brand Recognition. Imprint area - 1 5/8" x 1/2"
Highlight your brand with this promotional Calypso pen at the next company event. With bold barrel colors, the pen bursts onto the scene with your business logo in its full glory. Chrome trim provides this retractable plastic pen a touch of glimmer. Black rubber grip ensures a steady and comfortable grip. Choose from five bright colors to best suit your brand impression and add your custom details to create a giveaway that showcases your brand like never before. An ideal corporate gifting option for tradeshows and promotional events!